Do you keep seeing resources and Instagram posts about observing Advent and wonder what it’s all about? There are many ways to engage the upcoming season of waiting for the arrival of Jesus (his birth and his future second coming), but I want to offer a reason to pick one or two ways to observe Advent. While the practices of waiting and longing are good for many things for a life of faith (and doubt), I’ve found them to be particularly helpful when I know what I’m waiting for. We know we’re waiting for Christmas Day—the BIG DAY, right? But what if you were actually waiting for more than that? When we intentionally participate in Advent observations, we are waiting to celebrate Christmastide which starts on the BIG DAY and extends until January 5th. In the Church Year, some of the big celebrations are actually celebratory seasons. This is great to remember because it helps temper the rush and stress of celebrating all of the things in the days leading up to December 25. Knowing there are 12 days to celebrate, makes it easier to think about spreading some of the celebratory events and traditions out over the 12 days of Christmastide. Remembering Christmas is a season also assists us as we enter the season of Advent. We can slow down a bit and engage one or two (or however many you want) Advent practices in a thoughtful and deliberate way knowing the big celebration is waiting for you. There is time to wait. And there is time to celebrate. And remember, you don’t have to intentionally observe Advent or Christmastide. No one is keeping score. If you aren’t comfortable doing extra stuff during this season, please feel free to ignore all of the Advent talk out there. 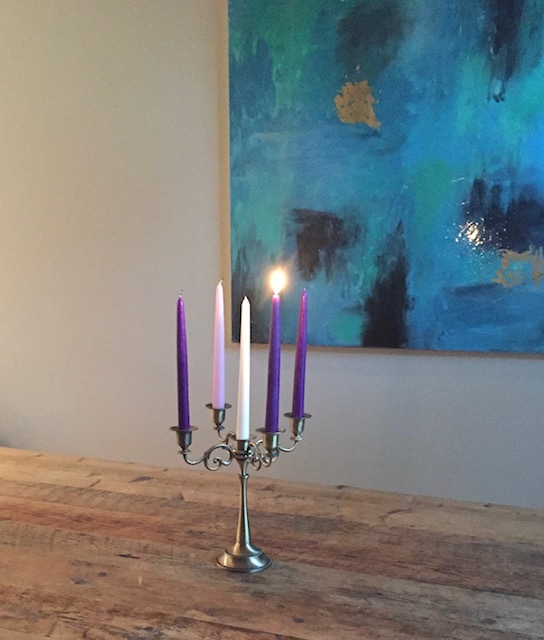 But if you would like to enter Advent with more intentionality, a great list of resources can be found at Sacred Ordinary Days. And if you’d like some ideas for celebrating Christmastide, you can sign up for my newsletter using the form below and you’ll receive a quick list of easy ways to celebrate. One more thing… I’ve put together A Soul Storying Christmas: A Personal Retreat for the 12 Days of Christmas. You can learn more about that personal retreat here. Advent is just a few days away. If you’re observing Advent, I pray it’s a nourishing season for you.